Over the next several posts we’ll delve into the benefits and value of CRM for tactical day-to-day operations and at a strategic business level. Plus, we’ll look at several challenges to managing change and some techniques for success. First CRM defined. Simply put,Customer Relationship Management (CRM) is a business strategy to acquire and retain profitable customer relationships. 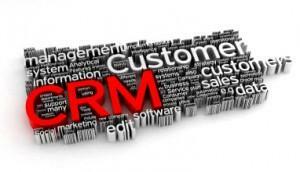 CRM is primarily a function of sales, marketing, and customer service. For homebuilders, today more than ever, CRM is powerful to the sale of residential real estate.Imagine each sales prospect at a new home community as a seed planted in a garden. Without properly capturing, tracking and nurturing those seeds can only grow into plants based on external influences and decisions that have nothing to do with the sales process, and everything to do with circumstance. Builders that employ Customer Relationship Management techniques become gardeners who can effectively nurture and grow each “seed” into a potential sale. If you think of CRM in the context of a customer strategy that involves people, process and technology, then CRM software is a part of the infrastructure, or ecosystem if you will, that equips the people and processes by which truly successful and profitable customer relationships can take place. Next post we will explore CRM tactical benefit #1 – Capturing Every Lead.